This cuddly plush pelican has an empty belly ... And a big appetite for fun! 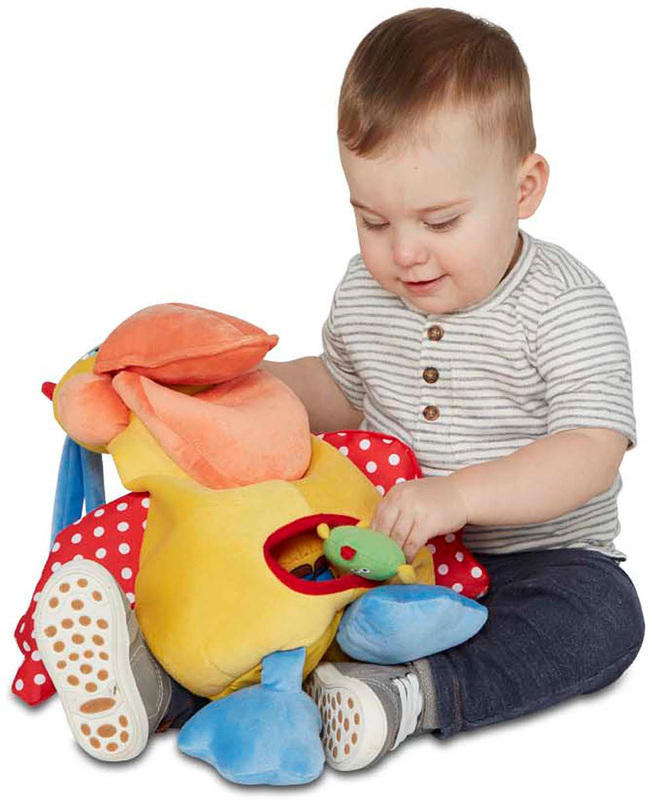 Young children can open the pelican's big bill (which squeaks when squeezed!) 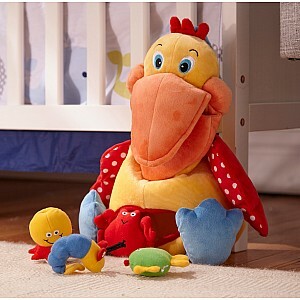 to drop four mini plush animals into his open mouth. 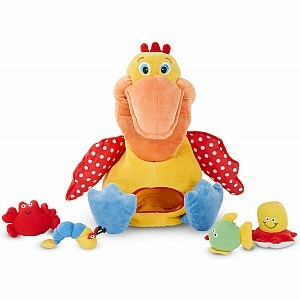 Then the crinkly shrimp, squeaking octopus, and rattling fish and crab drop right into the bird's big belly! A peek-in, reach-in window on the pelican's front lets kids spot them easily and pull them out to try it all again. 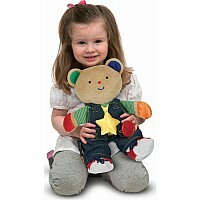 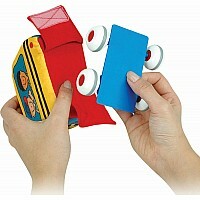 The repetitive activity is great for babies and toddlers working on motor skills and other early developmental skills. 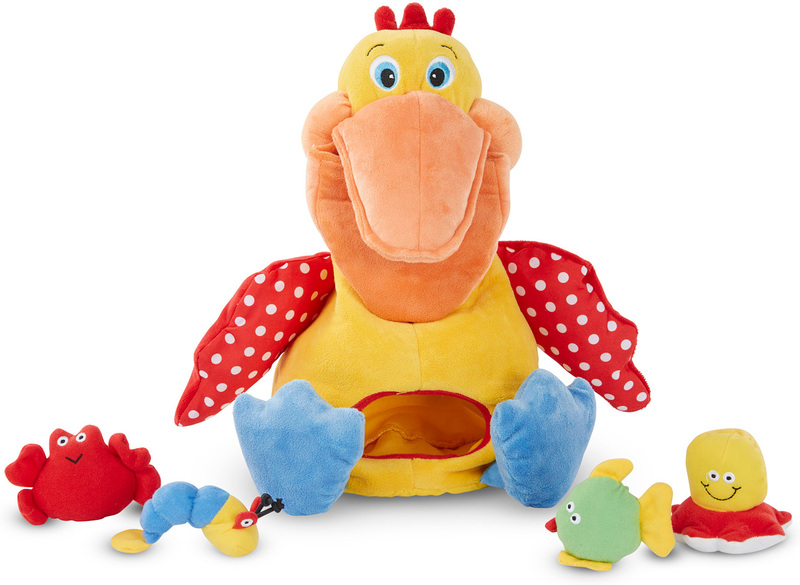 And thanks to an incredible array of fun-to-explore features-from chubby, squeak-able cheeks to crinkly wings to floppy, rattling feet-it never gets old! 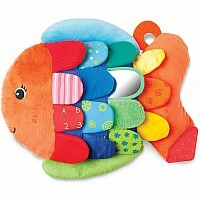 Measures approximately: 5.25 x 11.50 x 14.25 inches..